Stephanie held an appreciation for the military from a young age growing up as an Air Force Brat; her father was a Vietnam War veteran, serving two tours. She also found her passion for entrepreneurship early in life when she started a boutique interior design company for model homes in Washington D.C. It was her success in this endeavor that strengthened her drive to pursue entrepreneurship, even when she fell in love with and married a naval officer, forcing her to leave her career behind. The idea behind The Rosie Network was born in the midst of searching for a contractor to repair their home. In particular, she was searching for a veteran to do the job, and realized there was a niche market to make veteran business owner’s information accessible to American consumers. She asked two fellow Navy SEALs wives to join her, and through the use of a veteran IT developer, the Rosie Network was born. Through the site, she hopes to grow veteran’s businesses by giving them a platform to make their products known, an “Angie’s List” for veterans, of sorts. Named for the iconic “Rosie the Riveter” mascot and logo in honor of a time in our country when America banded behind together in support of veterans, hoping to regenerate this spirit today. As an Army spouse, Leigh has moved around 11 times in her 14 years of marriage. Between having two children and making all of those moves, Leigh recognized the challenge of establishing and maintaining a successful career, despite a prestigious law degree. There was one common thread between the jobs she was able to obtain: they were ones in which she was able to work remotely; thus, the idea for America’s Career Force came into existence. The goal of this online platform is to help military spouses find jobs they can do no matter where they are located so long as they have internet and/or phone connections. The site creates a link between the educated and qualified military spouses and the businesses that are willing to hire them. 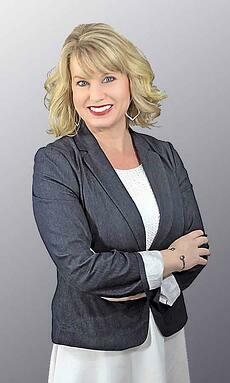 Her efforts have created awareness of military spouse unemployment throughout the country. She has helped plant seeds of knowledge from Fortune 500 companies to smaller businesses that there are jobs within each company that can often be completed remotely. If the business is simply willing to take a chance, this would ultimately change the pattern of military spouse unemployment. Sue Hoppin created the National Military Spouse Network out of her own life experiences; as an Air Force spouse faced with constant moves, she spent many of her years volunteering in the military community rather than establishing a successful career. The experiences she gained over these years brought out a desire to create the National Military Spouse Network, an online platform providing an atmosphere of networking and professional development in order to give military spouses the tools they need to further their careers. Through the site, professionals within certain career paths are able to share their expertise and advice with military spouses in the same field. The beauty of this partnership is that there is knowledge and understanding of the ever-changing lifestyle of the military, and these professionals start from a standpoint knowing the challenges and hurdles that military spouses face. Over the years, Sue has become an expert on military spouse and family issues, and beyond the National Military Spouse Network, she has also co-authored “A Family’s Guide to the Military,” in the “Dummies” series. Are you a military spouse entrepreneur, too? Download "The Ultimate Guide for Military Spouse Business Owners," to get a guide chock full of resources. As Jennifer made many moves over her husband’s 20+ year career in the Navy, she no-doubt realized there was a lack of condensed, accessible information for military families regarding many of the complex issues that military families face. This understanding and inside information could only have sparked the idea for Strategic Military Communications, LLC. The media site of Strategic Military Communications has developed into a necessity for military families, called MilitaryOneClick. While most people don’t realize how many considerations military families face on a daily basis, the media outlet of MilitaryOneClick bridges the gap to provide information to military families about PCS (permanent change of station) moves, pets, travel deals, pregnancy concerns, housing, and children’s information as related to these moves. Additionaly, MilitaryOneClick covers topics such as money, career advice, and current news as it relates to the military community. As the name suggests, it’s a one-stop shop, and a must-know for military families. Jennifer represented military spouses around the world at a special event honoring military moms and their children at the White House. She had the privilege to introduce Former First Lady Michelle Obama and Dr. Jill Biden and honor them for highlighting military spouses and moms’ commitments. Fred shared her story and how her time as a military spouse greatly impacted her career decisions and opportunities to StreetShares. As a woman, Fred found it frustrating to navigate through the maze of both the military lifestyle (in years of constant moving), as well as years of motherhood to find mentors (mostly male) who took her seriously as a driven entrepreneur with big goals and dreams. In a desire to find like-minded women business owners to work as a sounding board for one another, she began meeting with other women in D.C. to discuss what was and wasn’t working with their businesses. Through this time, she discovered that women begin entrepreneurship endeavors with different reasons and perspectives from men, and realized that a place for women to collaborate with one another was a unique and greatly needed niche in this space. From there, Fred’s successful online platform, entitled Her Corner, developed into the successful business it is today. Her Corner is a membership community of solely women business owners who come together through collaboration to grow their small businesses. Through the site, women entrepreneurs have access to in-person educational programs as well as online resources and support through a global community to build one another up and develop their small businesses. Did you know we just announced the finalists for Military Spouse Business Owners month for the StreetShares Foundation? Click here to view more execpetional Military Spouse Business Owners. StreetShares is proud to have fostered a relationship with Amy and her incredible work with Chameleon Kids in the past; in December 2016, Amy was one of our foundation winners for our Veteran Small Business Awards. 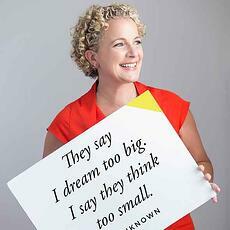 Amy is the co-owner of Chameleon Kids and the Managing Director of Military Kids’ Life Magazine. Chameleon Kids is an organization designed to look out for the niche community of military children. While there are many challenges that military kids face each and every day, Amy’s company does their best to highlight the wonderful side and bring positivity and encouragement to parents and kids within the military. Military Kids’ Life Magazine is a branch of Chameleon kids, bringing the ideas behind the company and putting them in the hands of these children. It is a quarterly publication meant to reach the ages of 6-14, and is for all branches of the military with all types of service (active duty/guard/reserves). An amazing aspect of this magazine is that military kids write half of the content. In fact, Amy used the StreetShares Foundation money to fund the Military Kids Report! journalism program, giving military children real-life experience in the field of journalism. Krystel Spell has taken her dreams of blogging about the military life and turned it into a nationally recognized empire in the military blogging sphere. She created Army Wife 101, a lifestyle blog that reaches thousands of military spouses addressing issues such as military living, military discounts, travel, and parenting. She has also created a sister site, entitled RetailSalute.com, which service members know about available military discounts. Her most recent endeavor was launching an online platform called SoFluential, a digital publishing, marketing and communications agency that connects military spouse bloggers with businesses and firms looking to hire someone to generate awareness about their brands and need the right voice to get the word out there. On her own, Krystel has been influential in the military community; she has been interviewed on MSNCB, Fox LA, and HLN to name a few, using her time to advocate for the rights and needs of the military community. 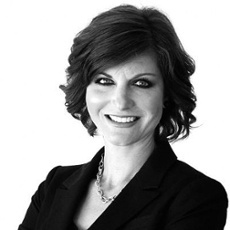 She was a weekly contributor to HLN and an online correspondent for Lifetime TV; additionally, she has created and launched military-themed campaigns for brands like Chevy, OralB, StarKist, Baskin Robbins, and many others. Through her many media outlets, Krystel consistently looks out for the best interests of the military community and the rights of service members and their families. Her blog has created an outlet for military members to express common emotions, goals, fears, and share alongside her journey, and others’ paths, through the complexities of military life. Inspired by these amazing Military Spouse Business Owners? Learn how to grow your business with "The Ultimate Guide for Military Spouse Business Owners." 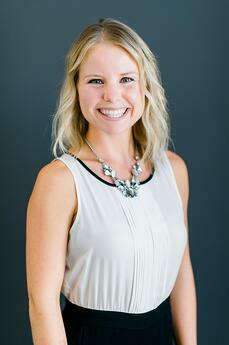 Krista has been an entrepreneur since her college days. 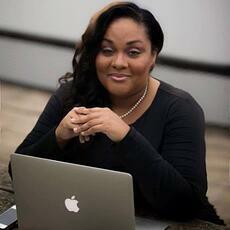 After graduating with a Ph.D. in Industrial-Organizational Psychology, she went into consulting for businesses. She helped them with conflict remedies among different employees and used task and role clarity to come up with solutions. She soon discovered her passion for helping individuals in the same way. Krista moved on to become a professional career coach in 2003. 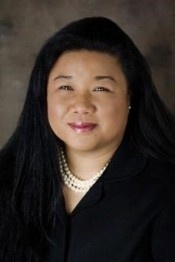 Through Wells Consulting Services, she’s able to focus specifically on military spouses. As a military spouse herself, she understands what challenges military spouses go through every time they have to pick up and leave and how hard it is to continue their careers in another place. Through Military Spouse Coach and The Military Spouse Show podcast, Krista is able to help military spouses understanding the design of their surroundings. She coaches individuals to examine their settings and how it impacts their behavior and advises how to take action. 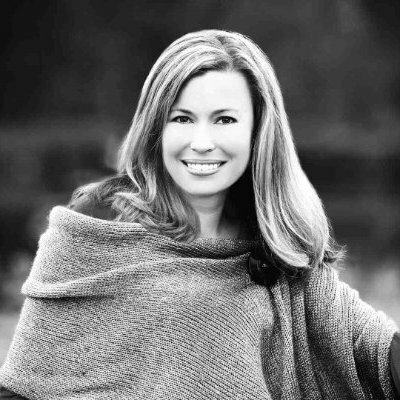 Krista is based in West Hartford, Connecticut but speaks professionally, delivering keynote addresses and continues coaching locally or through teleclasses. She’s also co-host of Military Life Radio. As a military spouse herself, Elizabeth felt that her best shot at creating a successful, fulfilling career was to create a business on her own. In her eyes, entrepreneurship was the most flexible business model to meet her needs in the transient military lifestyle. Her passion for both entrepreneurship and the military spouse community created within her the idea for the MilSpo Project, an online platform of networking resources to help the military spouse entrepreneur build and develop their business into a success. There are several varieties of resources available through the MilSpo Project. For example, there are monthly member meet-ups, where local communities gather to network, encourage one another, and gain business skills. Through the local community, the face-to-face encounters create a better sense of accountability, goal-setting and mentorship. Other options through the MilSpo project are annual events as well as other online workshops and resources for spouses who don’t necessarily have a local community available. The goal of the MilSpo project ultimately is to create a sisterhood in the incredibly complex and difficult space of military life in order to best learn how to make their entrepreneurship dreams come to life. 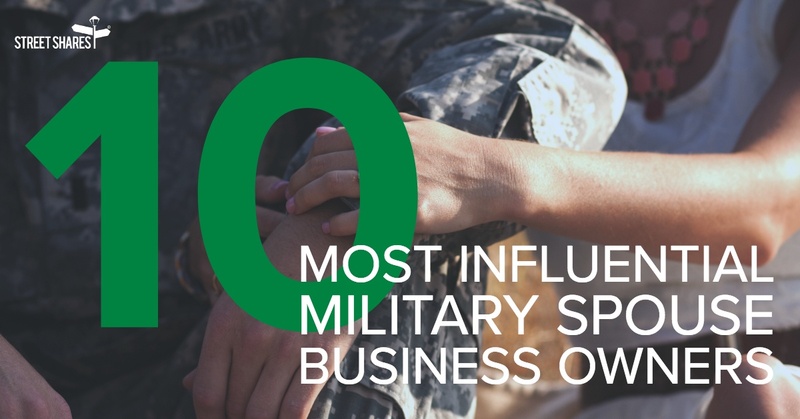 Click here to view more execpetional Military Spouse Business Owners. Brooke began her military journey by graduating from the West Point Military Academy and entering the career force of the military as a service member. Her experiences in the military taught her about looking out for others and sacrificing for others, something that creates a close bond between soldiers. Always willing to lend a hand or offer advice, she felt cared for by her fellow service members. After meeting and marrying her husband, also in the Army, the two decided that the life of a dual-military couple was more than they wanted to tackle and both began the process of transitioning from the Army. Through the experience of leaving the military, Brooke realized that the closeness and mentorship she found in the military was difficult to find outside of it. Looking back on her transition, she’d wished there had been conversations about what career field she was looking to join and how to network and gather information. Thus, the idea for Your Sequel was born. As a whole, there are approximately 200,000 veterans that transition from the military every year; Your Sequel is an online platform that provides a place for veterans to provide advice and encouragement to military women beginning the journey of transitioning out of the service and into the civilian workforce. The goal of Your Sequel is to enable women to make educated decisions when choosing a career field, and for women to encourage one another, rather than competing against each other, by sharing knowledge and support of one another to cultivate a spirit of unity and helpfulness. At StreetShares we're honored to support veterans and military spouse business owners because we understand the unique challenges the military community faces when it comes to career development, entrepreneurship and business ownership. As a military spouse business owner, it may be difficult to build relationships with business partners or financial partners like banks because of PCS orders to relocate. We would love to walk alongside your financial journey and help with small business funding such as term loans, lines of credit or government contract financing. Above all, from StreetShares to you, we want to say thank you to all the military spouses for the ways in which you sacrifice for our nation. To help you get started or to grow your business even more, we put together, "The Ultimate Guide for Military Spouse Business Owners." It's chock full of resources specifically for military spouse business owners and creative ways to get small business financing. 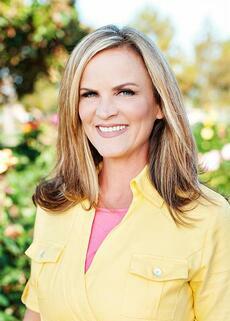 Author: Virginia Newell is an Army Wife and a mother of two rowdy boys. She graduated from Lindenwood University with a Masters of Fine Arts in Creative Writing, and has been freelance writing since 2015. As a military spouse for the last six years, she is excited to contribute to the veteran community as a content writer for StreetShares. 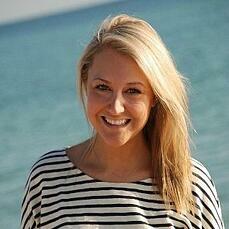 In her spare time she loves reading, coffee, working out, cooking, and blogging. Next Post: Is it Risky to Invest in Veteran Entrepreneurs?